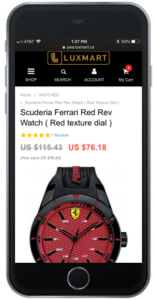 BOSTON, MA – Unbound Commerce today announces the launch of a new Progressive Web App (PWA) for online retailer Luxmart. Luxmart sells mobile phone accessories and has a well-designed website built with responsive design. But slow mobile pageload times have led to stagnant conversion rates, consistently measuring below .6% for the last several years. By using PWA methods such as Service Workers and on-device caching and integrating with the current ecommerce platform, Unbound built a new dedicated mobile experience that utilized PWA best practices. The result is a mobile experience that offers blazing fast pageloads, web-based push notifications and other features that have traditionally only been available in the context of a native app. Unbound Commerce today announces the launch of custom commerce-enabled iOS and Android apps for BigCommerce online retailer Revel Nail, one of the world’s largest manufacturers of Dip Powder, with hundreds of unique shades. The Revel Nail Dip Powder System uses innovative technology developed by a group of nail professionals with decades of industry experience. Featuring a custom design, the native apps are built to engage. The apps include a loyalty program integration and a full library of video tutorials. 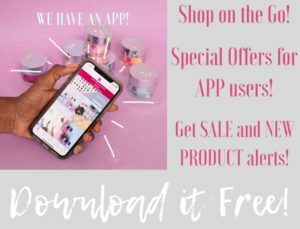 Because of on-device caching, the apps load nearly instantly and new, app-only features like Push Messaging and Flash Sales mean Revel Nail can interface with their best customers in new ways, to drive incremental sales. 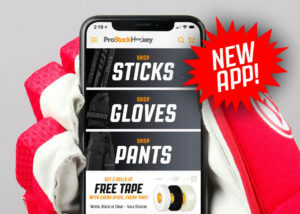 Boston, MA – Unbound Commerce today announces the launch of commerce-enabled iOS and Android apps for online retailer ProStockHockey.com. According to Criteo, 66% of all digital transactions in North America now take place on mobile and the app conversion rate in Q1 of 2018 (among merchants with a mobile site and an app) was 20%! Because of this, apps are increasingly becoming a must-have for retailers looking to engage on a deeper level and lift mobile conversion rates. Boston, MA – Unbound Commerce today announced the execution of a Certified Partner Agreement with BigCommerce, to allow more than 60,000 merchants on the BigCommerce platform to offer deeper engagement and a new higher-conversion mobile experience, though native apps. Because Unbound Commerce is pre-integrated with the BigCommerce APIs, the native apps leverage and extend the BigCommerce ecommerce platform into an exciting new area of growth. This also means the apps can be built fast, while still incorporating a full discovery phase and custom design. Unbound Commerce is pleased to announce their new integration with Square, providing clients of both Square and Unbound Commerce powerful new ways to accept payments on the fly. This will allow retailers on the Unbound Platform easy access to app-based payment features via Square’s Point of Sale as well as access to Square Loyalty, with redemption tracking and a host of other features. Juno®Active™, designs and sells woman’s plus size activewear, swimwear and intimates. They recently launched a new mobile site (m.junonia.com) that allows their active customers to browse, shop and check out, via a mobile-optimized consumer experience. “We engaged Unbound Commerce to leverage their expertise in mobile shopping,” said Anne Kelly, JunoActive President and Founder. “The results speak for themselves.” Mobile conversion rates have increased 135% for email campaigns and 177% for organic search. Unbound Commerce showcased new app platform features at the recent Internet Retailer show, all designed to drive deeper customer engagement and increased conversion rates. Unbound was invited to speak on the subject of retail apps and presented a top-10 list of best practices, as a part of the show’s mobile track. Apps are a hot topic for retailers these days, because in-app conversion rates are running an average of 3.7X higher than a mobile site, and 2X higher than desktop. Once considered an afterthought, apps are fast-becoming the new must-have engagement tool, especially as mobile web conversions rates remain stagnant.